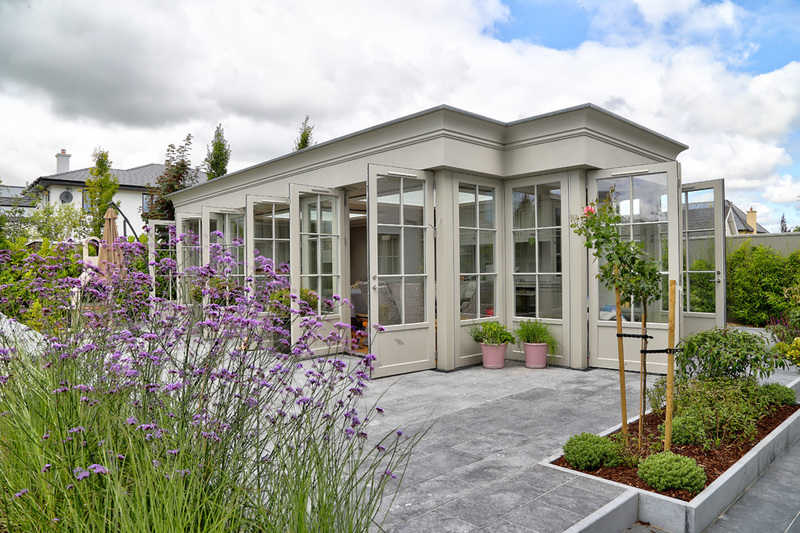 Classic contemporary stand-alone Garden room. and construction by Niall Linehan Construction. 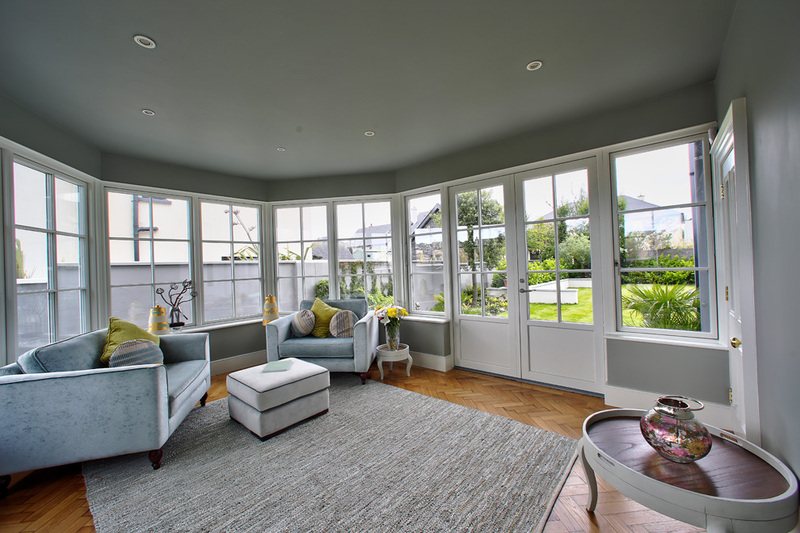 Block construction with a pumped cavity and completely airtight including airtight AluClad windows and a flat fiberglass roof. 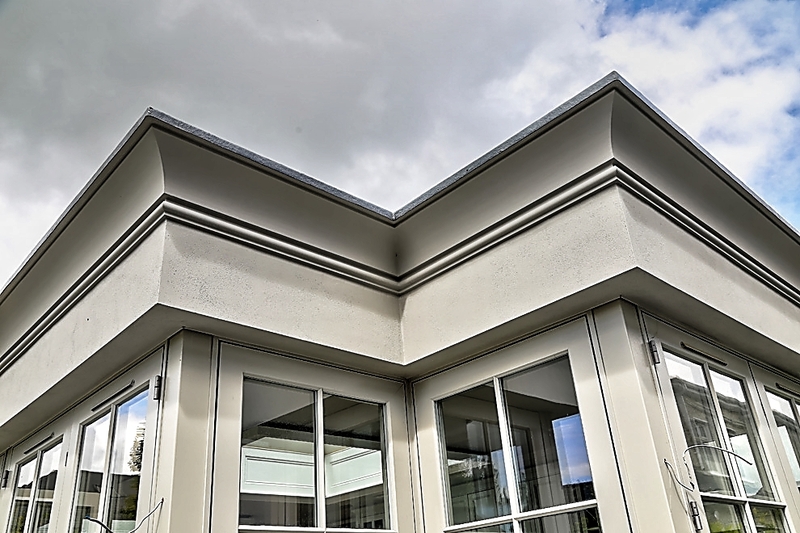 Detail of external fiber cement cornice. Internal detail of Garden room, showing ceiling cornice running along the top of the kitchen. Airtight roof light with internal panelling detail. 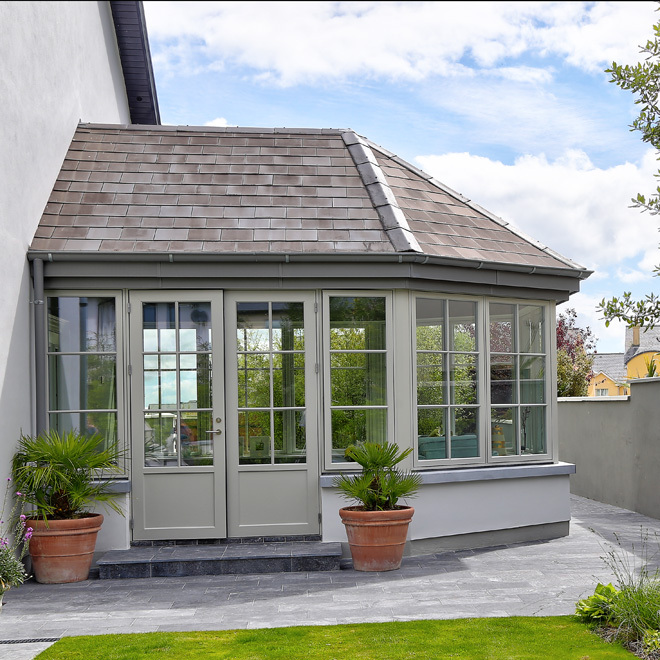 Refurbishment of existing conservatory using Rationel Aluclad windows and new Limestone window sills. 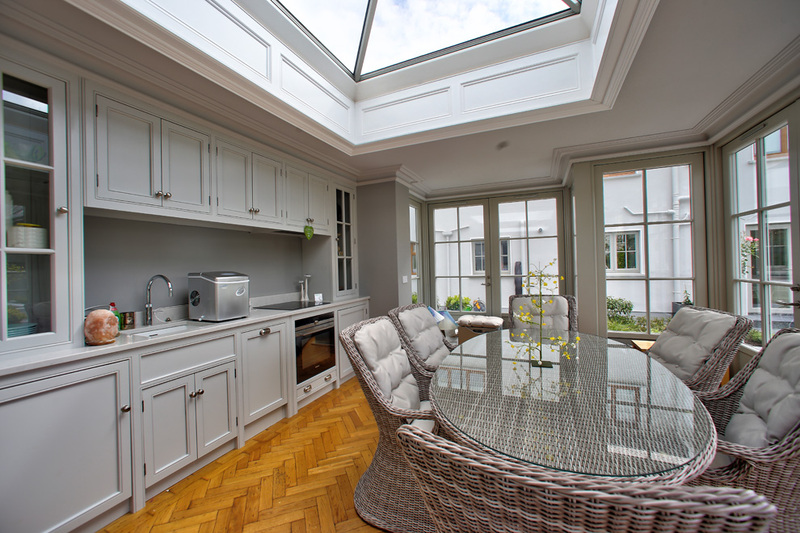 Internal view of refurbished conservatory note, use of reclaimed Oak Parquet flooring. 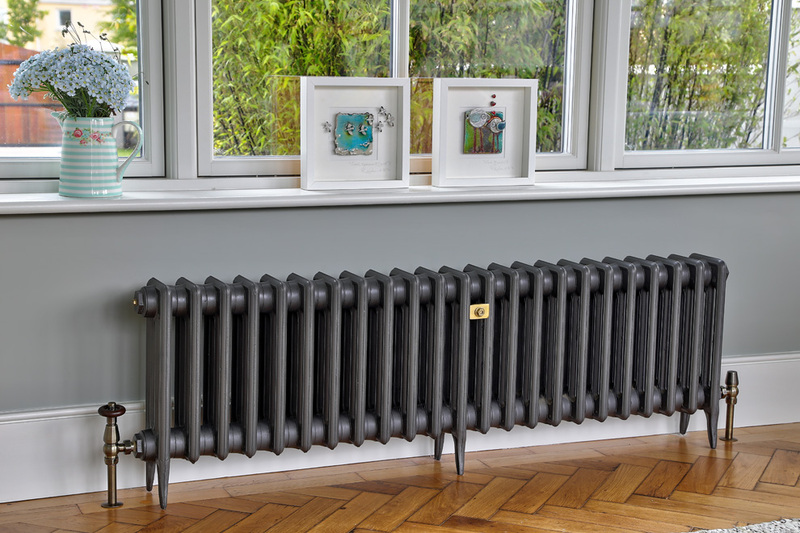 Detail of new conservation style Cast Iron Radiator. 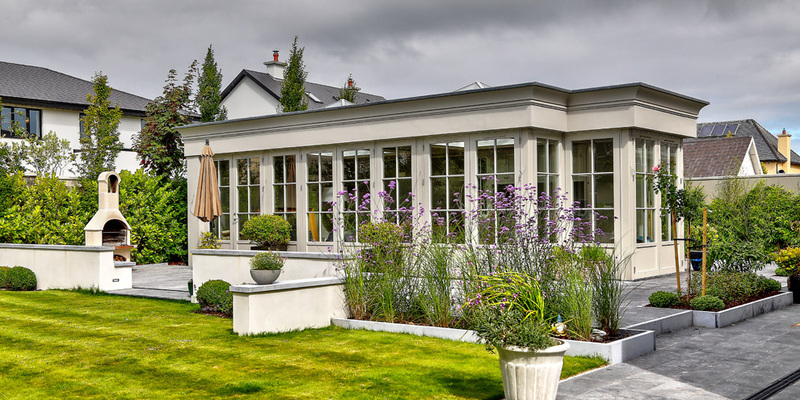 View of external patio and landscaping including limestone slabs, steps, flower beds and limestone capped walls to provide seating.